These presentation slides 26090 are complete compatible with Google Slides. Simple download PPTX and open the template in Google Slides. 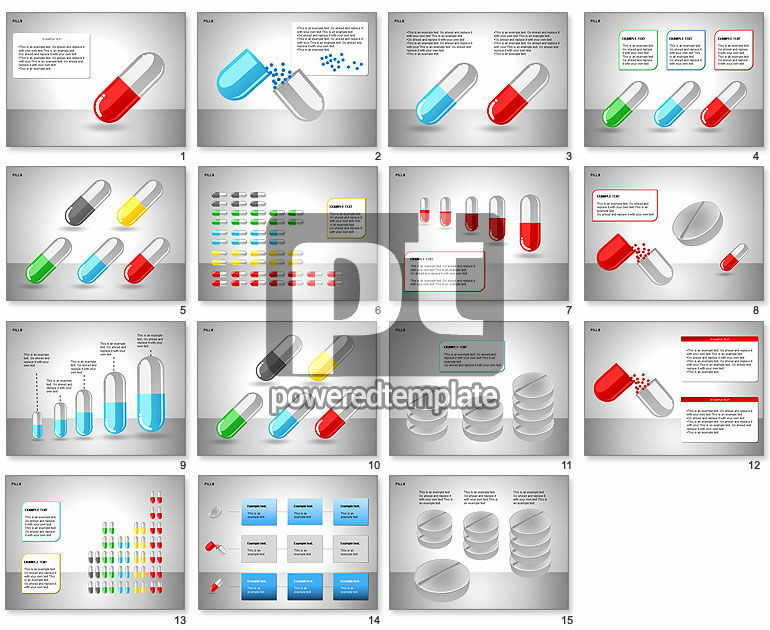 These slides with pills and capsules would be a great choice for presentations on pharmacology, drug production, drug stores, drug dosages, medical treatment, medical prescriptions, etc.